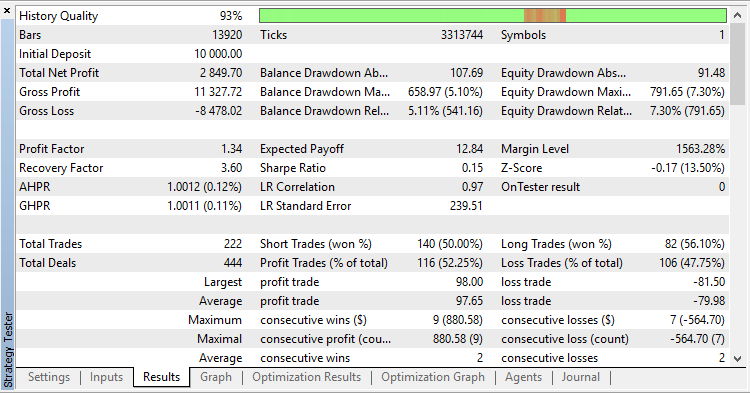 The EA uses indicator Small_Inside_Bar that searches and displays the "Inside Bar" Price Action pattern. When the bullish "Inside Bar" pattern is found, the EA will open a buy position, while for the bearish pattern, it will open a sell position. A relevant position is opened at a signal, provided that such position does not exist, and the opposite position is closed (swing). The EA allows disabling the buy/sell activities and has the reverse mode, i.e., a Sell position is opened at the buy signal, and vice versa. * In case of using the mode of opening all positions at all signals and if no Stop Loss or Take Profit levels are set, the EA cannot close positions by itself. In this case, a warning will be displayed on the chart that neither Take Profit nor Stop Loss is preset and that you can only close your positions manually. Always one position (swing) - only one position always (swing). 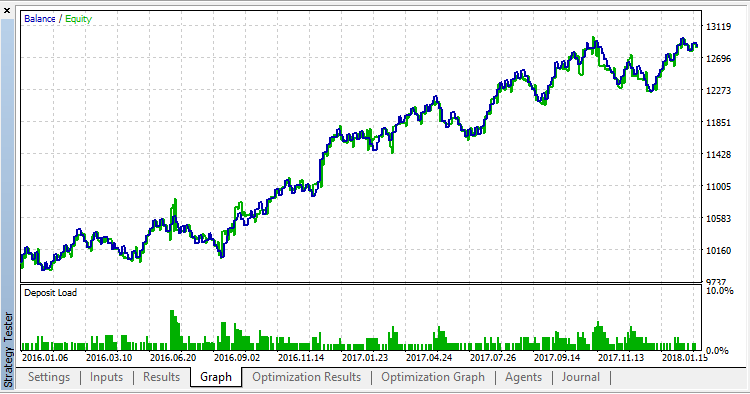 To check the strategy, the default settings were tested using EURUSD H1 in the 1 minute OHLC mode within the interval from 2016.01.04 to 2018.03.29. Then, in order to find the best values of Stop Loss and Take Profit, the latter ones were optimized in the same mode and for the same time interval.